2008 Vocal Group Hall of Fame 10th ANNIVERSARY Induction Concerts with Gretchen Christopher being THE FLEETWOODS' only original member attending and performing "Come Softly To Me", "Mr. Blue", and "Goodnight My Love", dedicating each to the original leads: Gretchen, Gary and Barbara, respectively. 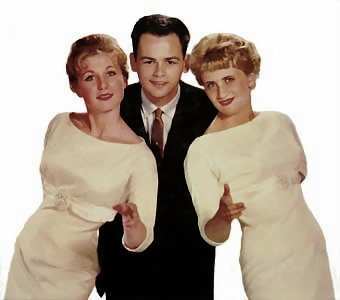 The original members of the Fleetwoods were Gretchen, Gary and Barbara. Simply the best vocals and writing. I still am blown away by their songs and enjoy singing them.